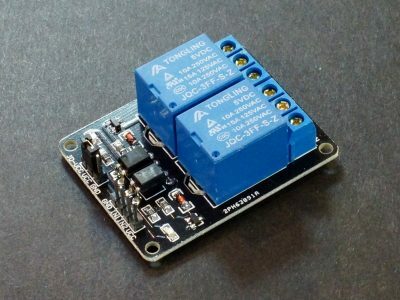 Products in this category include relays and power control modules. 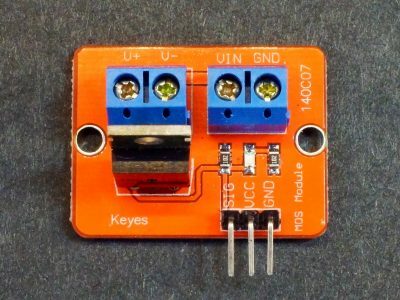 The IRF520 N-Ch MOSFET Module can control loads up to 24V @ 5A. The Relay Breakout Module 5V is a logic compatible relay that can control up to 125/250VAC @ 10A or up to 15VDC @ 10A. 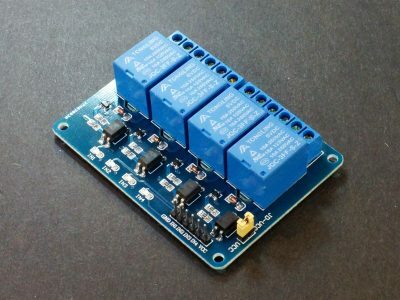 The Relay Module 5V x 1 Relay is a 5V logic compatible relay that that can control up to 125/250VAC@10A or up to 15VDC@10A. 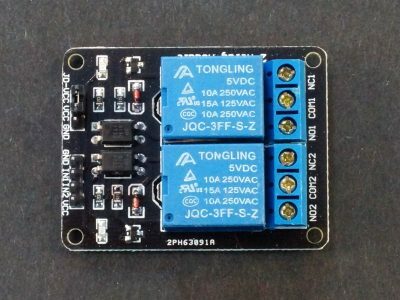 The Relay Module 5V x 2 Relay w/ Opto-isolation has two independent 5V logic compatible relays that control up to 125/250VAC@10A or up to 15VDC@10A each. 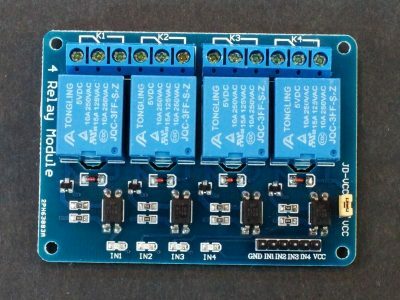 The Relay Module 5V x 4 Relay w/ Opto-isolation has four independent 5V logic compatible relays that control up to 125/250VAC@10A or up to 15VDC@10A each. 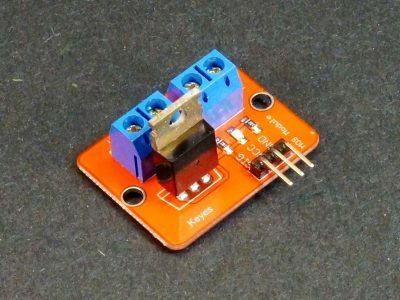 The Relay Module 5V x 8 Relay w/ Opto-isolation has eight independent 5V logic compatible relays that control 125/250VAC@10A or up to 15VDC@10A each.